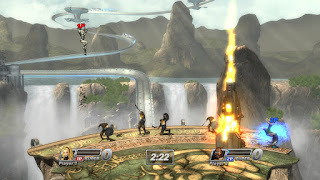 Home » Article » PlayStation All-Stars Battle Royal » PS3 » What Does the Future Hold For PlayStation All-Stars Battle Royale? What Does the Future Hold For PlayStation All-Stars Battle Royale? "SuperBot Entertainment can confirm that the relationship with SCEA [Sony Computer Entertainment America] has ended on good terms. We are extremely grateful to have had the opportunity to work with Sony on Playstation All-Stars Battle Royale, and are extremely proud of the work we have done." "SuperBot Entertainment will continue working on projects that reflect our passion for games and our commitment to creating award winning titles. We are very excited about the beginning the next chapter of our future and invite all of our fans and supporters to follow our journey." "Sony Computer Entertainment can confirm that the working agreement with developer SuperBot Entertainment has amicably ended," Sony said. "We have had a positive working relationship with this talented studio, and wish them the best of success in their next endeavour. PlayStation All-Stars Battle Royale and the title's forthcoming DLC releases will continue to be fully supported by Santa Monica Studio." Keen fans of the game (such as myself) have already been downloading the previously mentioned DLC which was dropped on 12th February in the US and the day after in the UK. There are two new characters to download entirely free - for two weeks. After the two weeks are over, the characters are rumoured to cost around $2.99/£1.99 from each region's respective store. The characters are Kat, the protagonist of PlayStation Vita exlusive, Gravity Rush and Emmett Graves, main character of another recent game called StarHawk on the PlayStation 3. Both have completely unique skill sets based specifically on the games they are from. Kat is a quick paced melee fighter that can use her power of anti-gravity to fly through the air with ease while Emmett's strengths lie in his ability to summon items and weapons to help him out, including a shotgun, rocket launcher and even a walking gun turret. A new stage is also available in the store for the mere price of £1.59 or $1.99 to those in the states. This stage is called 'Fearless' and is mainly based on Heavenly Sword with a dash of classic racing game Wipeout for good measure. There's even a new silver trophy here for the achievement hunters among us. Not happy with just new characters and a stage, All-Stars also offers 18 new minions to taunt your foes with in the form of Toro's friend Kuro, the professor from Ape Escape and even a minion that represents newcomer Emmett. These can be downloaded individually at a price of £0.49 each or in bundle packs. The downloadable content also comes complete with PlayStation Vita versions so both will be updated the same. So even though the two companies have parted ways, Sony is still supporting the game and it just means that SuperBot can now focus on other projects. What I appreciate about the All-Stars content is, not only getting the most important parts entirely free (albeit on a limited time basis) but that the content is completely unique. Two characters with dramatically different skill sets to the rest of the cast for free is a great way to pick the game back up and learn how to play all over again. A lot of games offer downloadable skins and a high proportion of those games make you pay a fee just to change the cosmetics. The stage, which includes an extra trophy, looks exceptional. Looking out onto a vast mountainside we are soon greeted with sci-fi racing cars as the platform crumbles and takes us right up to a part of the electrified track, damaging any fighter that gets too close.The downloadable minions are purely cosmetic and I was quite happy with my Captain Qwark minion from the Ratchet and Clank series, so saw no need to download more. "Our development and support on All-Stars is nearly wrapped, but due to lag time for localisation and testing, etc., the last of our work won't see its release for several more weeks,"
When another fan asked if there were more All Stars characters to be seen, their ominous reply was simply this; "We've got All-Stars you haven't seen yet. Further details coming in March." That's right, more characters to be unveiled around Spring time. Until then, it's time to get to work on that level 999 with Kat.